What is a bind yo-yo? If you could master the trics in “Basic Trick 1” you are ready to try a Bind with a bind setting yo-yo. A Bind is a trick to return a non-responsive sleeping yo-yo to your hand. We will introduce some recommended Bind Yo-Yos. If you pull up on the string the yo-yo won’t come back. If you keep using a tug response yo-yo, you won’t build your bind skills. You must use a bind response yo-yo to advance in yo-yoing. We recommend using a yo-yo that is set for a bind response from the beggining. Bind yo-yos have a strong spin power. You might not be able to catch when it comes back or if you miss the bind the yo-yo might hit the ground. If it is made of plastic you don’t need to worry. You can use bind yo-yos for a long time because they have a strong spin power. For advanced string tricks you will need strong spin power　because they require a long sleep time, and a strong spin power will help you avoid losing control after a small miss. Recommendations for your first bind yo-yo. If you use these yo-yos you can learn how to bind and other advanced string tricks. Most Bind Yo-Yo bearings are dry (not oiled). Dry bearings sleep longer than oiled bearings. That’s why many competitive yo-yo players use dry bearings. However dry bearings are easy to break. You should use a little bit of string trick oil to help your bearing last longer. We recommend YYF Performance Oil (Long Spin) etc. >>How to put oil on your bearing. Most bind yo-yos are equipped with response pads. Pads wear down with use, so you will eventually need to repace them. You should have some replacement pads as a backup. Pads are different sizes depending on the yo-yo. 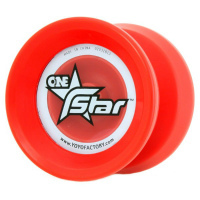 You should check “Response” in your yo-yo’s product details to see what size fits. Of course, you will also eventually need to replace your string. It is important for bind yo-yos too.